Reaction Calorimetry vs. Adiabatic Calorimetry: Which Method is Right? When gathering process safety information on an existing chemical process or for developing a new chemical process, the technique to choose and type of experiment to run is highly dependent on what is the intended use of the data. In this article we highlight important differences between the data from reaction calorimetry and adiabatic calorimetry and how best to use it. The reaction calorimeters in a full service process safety lab toolbox include the Mettler-Toledo RC1, ChemiSens CPA202, and the Thermal Hazards Technology μRC . 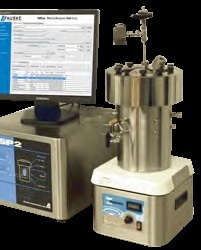 The adiabatic calorimeters are the Vent Sizing Package (VSP2), Advanced Reactive System Screening Tool (ARSST) and Accelerated Rate Calorimeter (ARC). First and foremost, reaction calorimetry (RC) seeks to quantify the heat evolved and the rate of heat evolution from a chemical process reaction under desired reaction conditions. Adiabatic calorimetry (AC) by definition does not hold the reaction conditions (temperature) constant and generally is used to explore the undesired runaway scenario (loss of cooling, overcharging, heating by external fire). The overlap between adiabatic calorimetry and reaction calorimetry lies in the fact that the adiabatic experiment often but not exclusively has the desired reaction as the trigger for runaway. 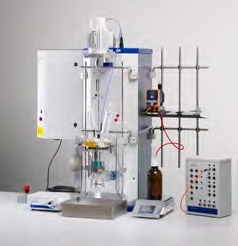 In contrast, the reaction calorimetry experiment maintains temperature control to stay within a predefined temperature range where primarily only the desired chemistry takes place. The adiabatic temperature rise (ΔΤad) is a deliverable from either reaction calorimetry or adiabatic calorimetry but differs in its origin and meaning depending on which technique was used. Reaction calorimetry measures the heat evolved under a predefined set of reaction conditions (often isothermal but not necessarily) and calculates an adiabatic temperature rise from the total heat, the mass and the heat capacity (also measured in a RC experiment). The total heat can be normalized to mass or moles of limiting reagent to afford a heat of reaction. Adiabatic calorimetry measures the temperature rise as a direct consequence of the experiment though the measured value is often further corrected by heat absorbed by the test cell (via the Φ - factor) to project the true adiabatic value. Knowing the mass and a heat capacity allows the calculation of the total heat that caused the temperature rise and normalizing this by mass or moles of limiting reagent yields a heat of reaction. It is important to realize that the adiabatic temperature rise projection from reaction calorimetry only allows for heat from the desired reaction to contribute to the temperature rise (if any). Consequently, it does not represent the entire runaway scenario but only a minimum possible value. This calculated temperature rise from RC differs from what is measured in adiabatic calorimetry. During the adiabatic experiment further reactions may be initiated (with their own heat of reaction) when the actual rise in temperature is experienced which may contribute to a further increase in temperature (and pressure) until all reacting/decomposing components are consumed. Note also that the adiabatic potential projection from reaction calorimetry is based on the heat capacity at the desired reaction temperature where the adiabatic experiment experiences the temperature rise over the actual range in temperature and the corresponding real change in reaction mass heat capacity with temperature. As heat capacity generally increases with temperature, the ΔΤad from RC is usually an overestimate of what the real temperature rise would be when only the desired reaction is involved. 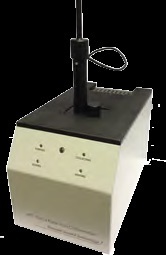 The primary use for reaction calorimetry data is for purposes of heat rate scale up. That is projecting the cooling capacity required for running the process in larger equipment, from lab to kilolab to pilot plant to full-scale plant in order to maintain the desired temperature control. RC also provides a unique window into the trajectory of the reaction. Issues encountered when considering RC data include the following: does the way the process is carried out (batch versus semi-batch) need to be changed with scale? Does an addition time need to be longer at larger scale? If so, is product of the same impurity profile produced with the longer addition time compared to that from the smaller scale (shorter add time). Do transient solids formation present a mixing challenge and might that change with a longer addition time? Does reversing the addition alleviate those concerns? Do any changes in heat flow (or vent flow or pH, also) correspond to points of stoichiometric equivalency? The projected ΔΤad value from RC best serves in a screening role. A process that projects low adiabatic potential from RC may be deemed safe as long as there is complimentary thermal screening results, Differential Scanning Calorimetry (DSC), for instance, indicating minimal to no thermal activity at higher temperatures from a scan of a post-reaction mixture. On the other hand, any projected temperature rise which threatens the boiling point of the reaction mass, an understanding as to whether the reaction mass could temper the runaway would require an open adiabatic test to confirm. A potential temperature rise that could go well beyond the boiling point of the reaction mass deserves a closed adiabatic test to see how high the temperature and pressure might get and what other reactions if any might be encountered. Ultimately the purpose of an adiabatic test is to gather data on temperature and pressure rise (and rates thereof) for the runaway scenario. Low Φ - factor adiabatic calorimetry (ARSST, VSP2) is ideal for direct scaling up of the data. The low Φ - factor test minimizes the correction needed for heat loss to the test cell maximizing the quality of the data collected over the temperature rise by more closely simulating the thermal inertia of the large scale process vessel. Typically this type of data is desired when the process scale is known and design of the vent for a particular reactor configuration is requested. ARSST are used in a screening capacity to quickly probe different scenarios. However, ARC and ARSST are used in a screening capacity to quickly probe different scenarios. ARC is more commonly used with pure materials to probe decomposition kinetics for storage and stability concerns. ARSST is better equipped to handle mixtures and to capture data while adding reagents at the process temperature. 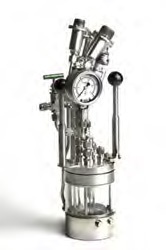 Fauske & Associates, LLC maintains a toolbox and the expertise to characterize chemical processes with reaction calorimentry, adiabatic calorimetry or both as needed supported by thermal screening techniques. If you have process scale up or safety concerns that suggests reaction calorimetry, please contact Don Knoechel at knoechel@fauske.com or 630-887-5251 to discuss your process. If you have vent sizing or other adiabatic testing or thermal screening needs, please contact Gabe Wood at 630-887-5270 or email at wood@fauske.com.